Using the fibrous byproduct of the industrial hemp plant, we have created Terrafibre™ grow mats. 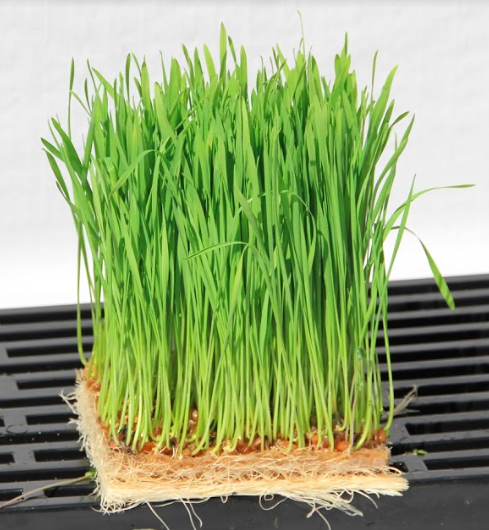 Terrafibre™ grow mats are ideal for microgreens, sprouts, wheatgrass and other short rotation crops. Industrial hemp fibres are separated, cleaned and needle punched to produce a 100% biodegradable soilless growing medium. Fibres are separated through a decortication process without the use of any chemicals and our needle punching technique creates a light texture for roots to easily grow through. Hemp fibres have high water retention, keeping seeds wet through germination. All of the hemp used is grown, processed, and manufactured in Canada. Hemp Roll is 10 inch x 120 feet long and can be easily cut to fit industry standard 10" x 20" trays. Custom orders are available upon request. 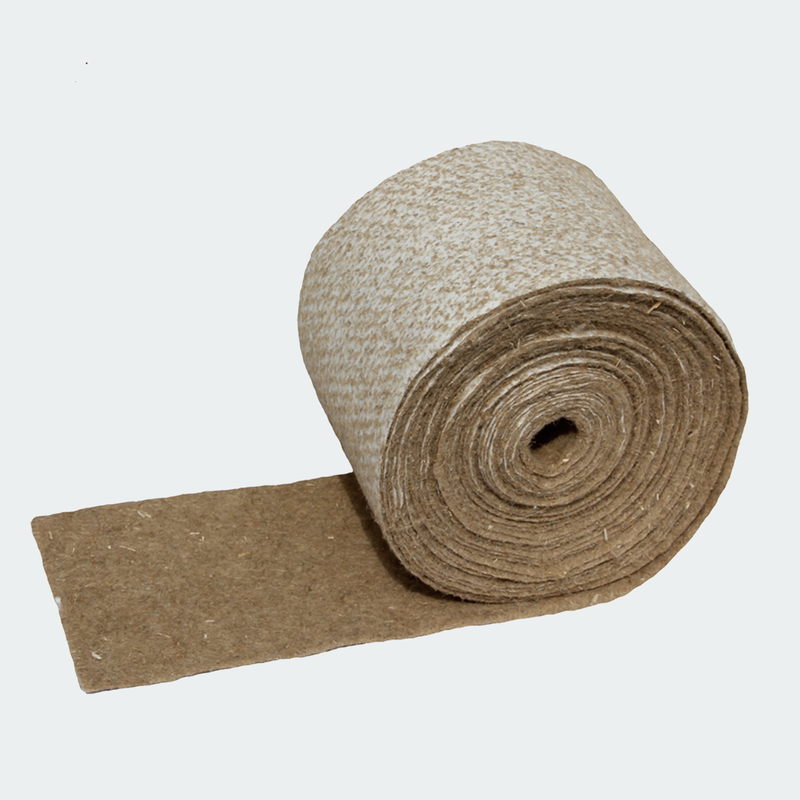 Cut Terrafibre Hemp Roll into desired sizing. 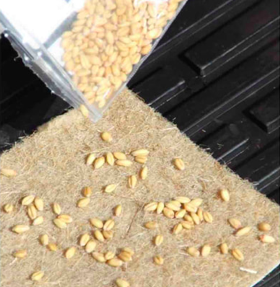 Sprinkle desired sprout or microgreen seeds evenly on Terrafibre grow mat. 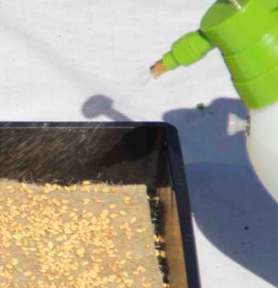 Keep the grow mat and seeds moist by spraying once or twice a day. Provide plenty of light and water to your mat and seeds. Watch your microgreens grow! 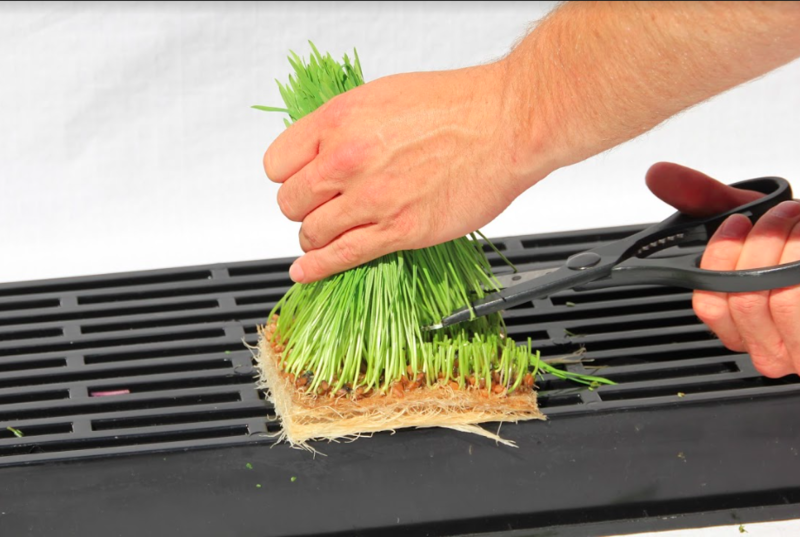 When ready, harvest crop with scissors and enjoy your delicious greens! TERRAFIBRE GROW MATS ARE MADE FROM NATURAL HEMP FIBRES AND ARE 100% BIODEGRADABLE, SO YOU CAN COMPOST AFTER USE! BUY YOUR HEMP ROLL NOW!! ARE YOU A COMMERCIAL GROWER? ​CONTACT US FOR BULK PRICING!